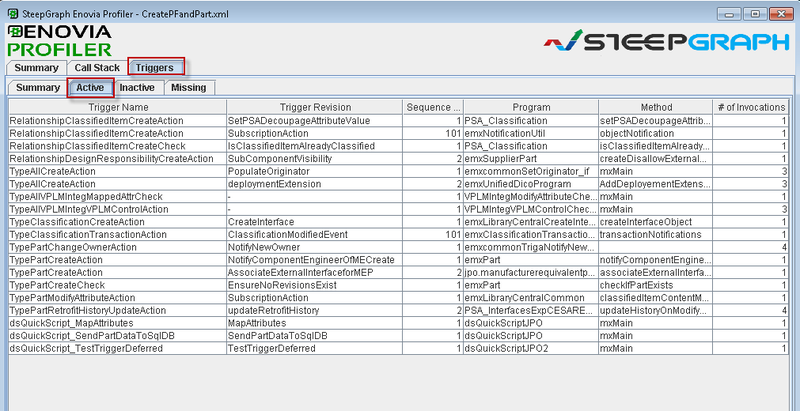 3DEXPERIENCE Trigger Performace Profiler - SteepGraph Systems Pvt. Ltd. » SteepGraph Systems Pvt. Ltd. Acceptable PLM Application performance in all situation and scenario is key user acceptability factor. Fundamentally with large structures and complex data, user actions in 3DEXPERIENCE PLM system ends up triggering series of events with triggers defined in background. Without going into the depth, it’s difficult to find how many triggers are fired?, how many times each trigger fired?, how much time it took?, Which trigger cumulatively took maximum time considering multiple invocation of same trigger in structured events?. Without answers to above questions, code refactoring for performance improvements may not give desired results. 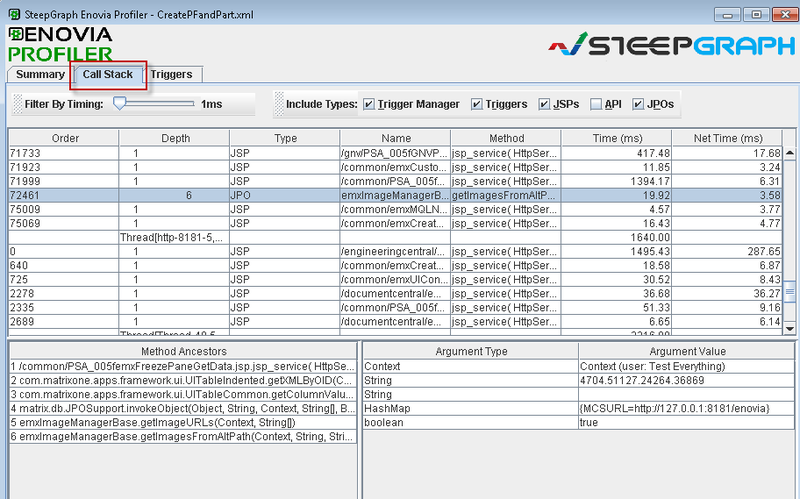 SteepGraph 3DEXPERIENCE Trigger Performance Profiler can be hooked to 3DEXPERIENCE PLM application to generate the trigger performance report for a given use case. 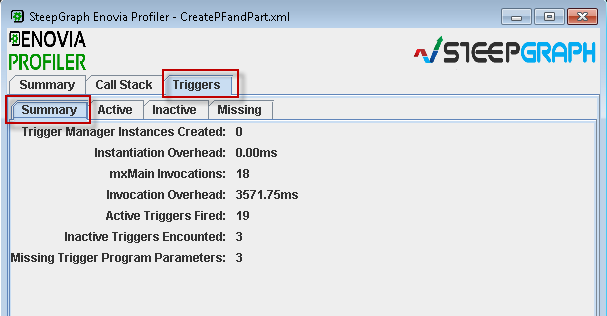 At end of the operations, 3DEXPERIENCE Trigger Performance Profiler generates the report with all triggers fired during the operation. Report contains all statistical data to identify and analyse maximum time consuming triggers which are impacting current operation performance. 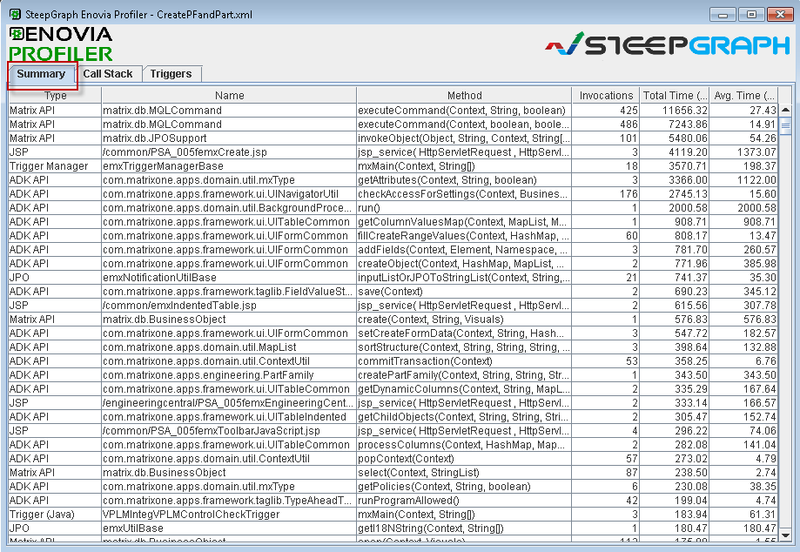 SteepGraph 3DEXPERIENCE Trigger Performance Profiler is also used by developers to analyse a complex use cases which fires unknown number of triggers in background. With Trigger Performance Profile report, Technical architects can identify the long running triggers and can make appropriate decisions to refactor the code to improve PLM application performance.